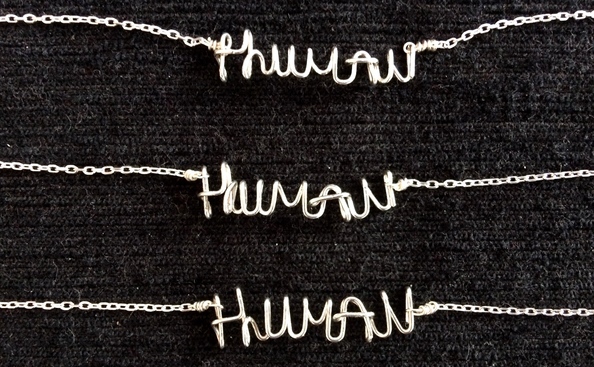 Each item is handmade so the rendering varies slightly. Created upon demand, please allow for 2 weeks from order time. We are pleased to announce our second collaboration with Agnès Sinelle from Dante & Maria. Agnès opened her jewellery shop and exhibition space located near the Canal Saint Martin in 2008. Since then, Dante & Maria, named after her grand parents, has become a well-loved destination for locals and tourists alike. 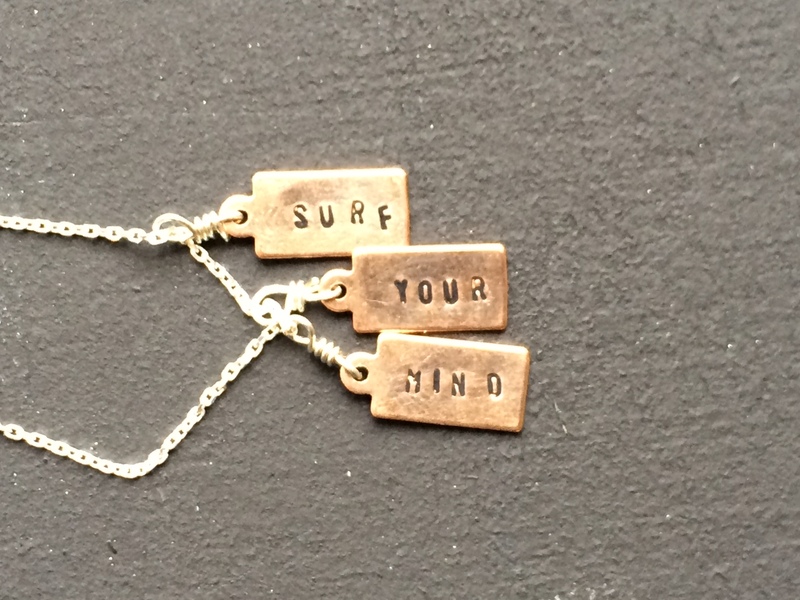 After their successful first collab – a copper/silver Surf Your Mind necklace – created in 2014 – Agnès and Melissa Unger wanted to collaborate again on the production of an uncomplicated item that encompassed both of their philosophies. 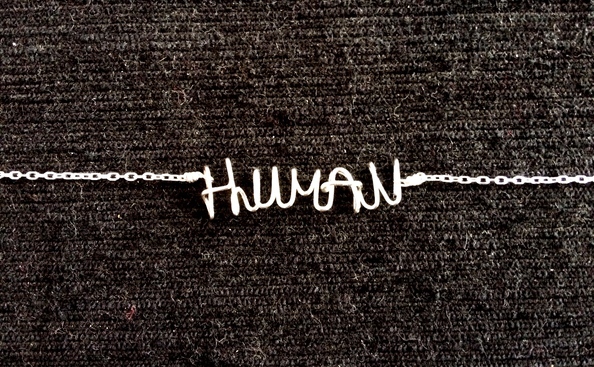 The result is this simple but powerful necklace, hand made by Agnès, bearing to word HUMAN, in reference to Seymour’s Team Human campaign and Dante & Maria’s humanist tradition of creating handcrafted items.